Animation motor not spinning after a second? 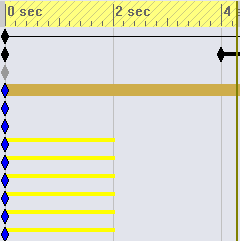 yellow lines on bottom are effected by the motor. unfortunately i cannot show you the actual animation for reasons, only the keyframes. it will calculate for 20 seconds, which is how long the entire animation is, but after its all calculated, it only moves the motor for 1 second, then stops. the rest of the 20 seconds is just still. Re: Animation motor not spinning after a second? are you using the motion solver or animation solver? The basic problems w/ SW Simulation motors is that they just don't work. I've been told the should work, but they don't. I've sent a few SW motor issues to VARs. Typical response is to get nowhere and forget about me after a couple months. so thinks just progressively keep getting even more and more poopy. "solver" made it sound like a magical button that solved broken things. well, at any rate i'm leaving the office so i won't get back to this until tomorrow morning. i'll bump it tomorrow morning if it doesn't automagically fix itself. You Need to apply 2 of the constrains and they are Motor and Contact. While considering an motion study there is basically of 2 things they are Driving and Driven. Motor constrain always applied to Driving components and Contact constrain applied to Driven components. Don't use multi motor unless or otherwise if multi-motor needed to drive the components. 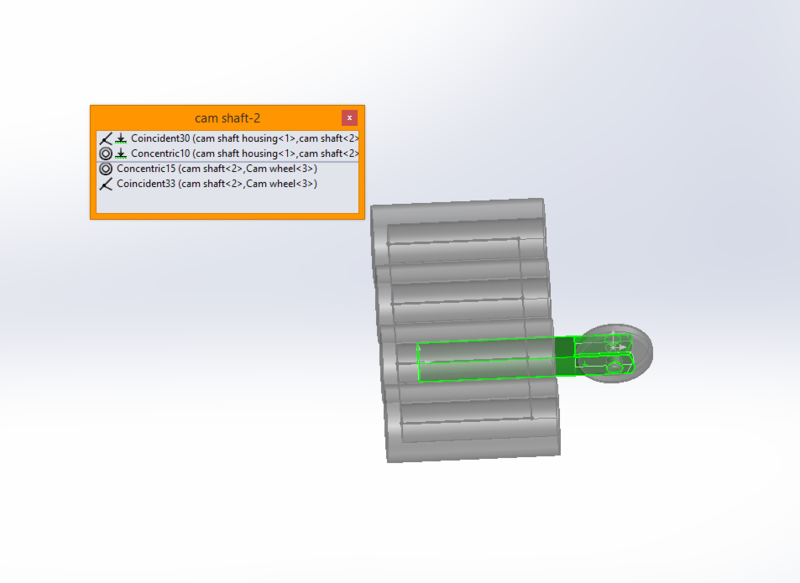 Why because it'll affect the motion study by merging the components. If red bar occurs in your motion study the reason is your components is colliding one another. Try to remove red bar by analyzing your process. Issue is still occuring. bumping like i promised. without more details about what is happening or the models it is going to be very difficult for anyone to help here. i'm just gonna rebuild it from top to bottom again. sorry for all the time i might have wasted. ok so i had to Unmark as correct and solved, cuzzit aint, and now i'm sure i've tried everything. but i think i've pinpointed where it started going wrong. in the process of mating the cams to the cam thing you see there i noticed that the shafts of the cam followers are for whatever reason mated but not really mated... h-here ill take some pics to show ya. i noticed it wasnt mated to any of the other shafts. so this might have something to do with the redlining and why things are not doing what they are supposed to in the animation. i am using a 2012 port for windows 8.1 (2012 isnt for win 8.1) but i got it working, and noticed that with any type of port on anything, it is gonna be buggy. so i convinced my boss to upgrade to 2015 to relieve myself of a load of bugs. do you think this is just another one of those bugs?